Rachid Sefrioui hosts Offshoring Forum at the Four Seasons Hotel in Paris. The event gathered representatives from the largest companies in Europe seeking to outsource ther back office IT services in francophone offshore tech centers. 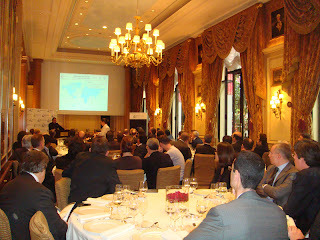 The event was also attended by the specialized IT press as well as MENA publications.